Searching for a new home can be tough, especially when you’re unsure as to what you’re really looking for. It is best to view a raft of properties including those you are not sure about, if only to confirm your thoughts and discount them. Set in the heart of Leytonstone stands this stunning three-bedroom family home, in excellent condition and oozing character - don't miss out on a chance to book a viewing in straight away at this property. Now is your chance to grab a great deal on the property of your dreams! Whether you're a first time buyer or looking to invest make sure you take advantage of this opportunity. Buying property in London doesn’t mean you need to break the bank. From converted biscuit factories to charming mews homes, we’ve gathered our best properties under £1,000,000. Your dream home might be a click away, take a look! Living in London, it's great to spend your days out amongst the hustle and bustle of the city streets but when you get home, you want a bit of peace and somewhere serene to enjoy a glass of wine. Picture yourself in a new home in 2018? We’ve found 10 of the most lust-worthy properties currently on the market, from dreamy starter homes from £315,000, to spacious family homes. It’s not just shops up and down the country that are braced for Black Friday tomorrow! If you’re planning on buying your first property or moving home in 2018, scroll down to view some fantastic, recently reduced properties. Dulwich has recently been dubbed as one of the most popular places to buy in London. Last week the Bank of England increased its base rate for the first time in a decade. This historic interest rate rise to 0.5% may have been expected - but it has raised lots of questions, nonetheless. What's happening with London property — is Brexit-related uncertainty starting to take its toll? Here we take a look at the data and uncover the truth about London house prices. Looking to enjoy a countryside feel in the heart of the city? We have just taken on a stunning collection of new waterside homes, surrounded by expansive green space, beautiful nature, and panoramic views across the London skyline. Are you a first time buyer desperate to make the big move? We've handpicked 15 of our favourite homes in London that are priced under £500,000 and perfect for first-time buyers, investors and those looking to put down roots in the City. Here they are in ascending price order! We’ve just taken on nine stunning, 1, 2 and 3-bedroom apartments in the Clissold Quarter development, which is supported by Help to Buy - scroll to the bottom to find out more about the scheme! How Long Does It Take To Sell A London Home? Everybody wants a quick and easy property sale. Unfortunately, the time is takes to sell a home can vary greatly depending on how you sell it and who you sell it to. Last Few Homes Remaining At This Award-Winning Development! Most of today’s young Londoners think of home ownership as an impossible dream. But is it? Looking to get on the property ladder in London or invest in buy-to-let? Take advantage of this opportunity to get your dream London home, by scrolling through our recently reduced properties for sale! Looking for a property you can add real value to? Despite Brexit and political uncertainty, house prices across the UK are forecasted to rise by over 6% over the next five years, with house prices in London set to soar by 11.8% by 2021. The bank rate was cut last August to 0.25%, down from its already record low level of 0.5%, where it had remained for more than seven years. Will 2017 be the year that interest rates eventually rise? Kick off your home search with our latest properties and investments. How much can you earn on Airbnb? So why isn’t your home selling? Thanks to Crossrail and improving transport links, investors and savvy homebuyers are now looking beyond central London in favour of the capital’s outer Zones. A one-bed near a future Crossrail station priced at £190,000? A first buyer pad in Battersea for under £350,000? A Grade II listed family home in Stockwell? London’s newly crowned Elizabeth line is now less than two years away from fully opening, with the first new trains between Liverpool Street Main Line and Shenfield being introduced next month. Property is a long-term game, but you can certainly help speed up the profit process through buying at a bargain price. Renovating property can be extremely profitable - particularly if you buy in an up-and-coming area and stick to a budget! When it comes to property, for today’s young Londoners, price is the most important factor. An affordable price tag is closely followed by transport links - as after all, who wouldn’t want a quick and easy commute? There's no reason to have any void periods in 2018 with Portico Host. Get a glimpse into London living with our top property picks! Each listing has recently been reduced - some by £100,000 or more - so you’re guaranteed to get a great deal. Where’s the next property hotspot in the capital? Will House Prices Fall in 2017? Most London properties experience healthy capital growth in the long-term, but why not fast-track the process? 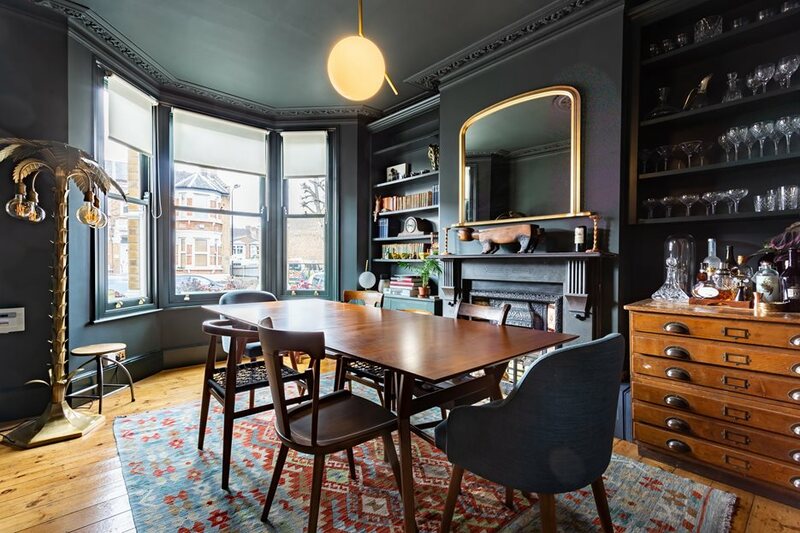 Walthamstow, otherwise known as #awesomestow to its Twitterati, has a timeless appeal, boasting bags of character, the Victoria line, affordable period property and a villagey, middle-class feel. We’ve searched far and wide, (well, inside the M25), to bring you the most unique, value-for-money, and generally amazing Portico property listings. There’s nothing more frustrating than missing out on a great deal. So if you’re interested in one of these reduced properties for sale, get in touch as soon as possible - the property market moves very quickly! Charles Dickens described Chigwell as “the greatest place in the world”- and we know many people who would agree! 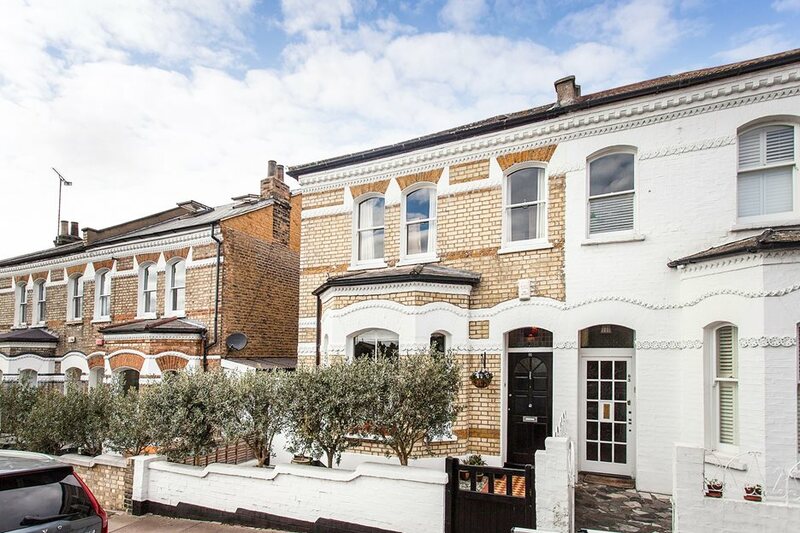 We’ve scoured east London to bring you the most must-see, value-for-money, generally wonderful property listings! If you love one of the properties featured, give us a ring on 0207 099 4000 to arrange a viewing. Today the Bank of England cut interest rates to the historic low of 0.25% - so there has never been a better time to get a mortgage. Are you looking to buy in London? Now is the time to grab a bargain! There’s nothing more satisfying than identifying a property hotspot. The average London house price has topped the half million pound mark, now standing at a £550,000. Looking for a bargain home or investment? We’ve compiled a list of value-for-money properties across London, which have just been significantly reduced in price. Barclays no-deposit mortgage: a good idea? It’s the news that has got everyone talking: Barclays are bringing back the 100% mortgage. The zero-deposit deal is the first of its kind since the financial crisis, putting home ownership back within reach of a big group of potential buyers. The Power of Crossrail - Where should you buy along the Elizabeth Line? Are you looking for a new home or investment at a fantastic price? We have just reduced the price of lots of wonderful properties, from spacious family homes to fantastic buy-to-let investments. Many of us dream of making money from buying and renovating property. And whether you’re buying-to-let, buying to flip, or you have plans to sell, renovating a property can be immensely profitable if done well. Lutron lighting, Sonos AV speakers, a super-sleek kitchen and a Juliet balcony that overlooks a private courtyard - you get it all. We take a peek inside our property of the week. If you liked it then you should’ve put an offer on it! Your loved one didn't want a shiny diamond ring on Valentine’s Day, they wanted a shiny new set of house keys! Are you looking for a new home at a fantastic price? We have just reduced lots of lovely properties in price, from quirky studios to large family homes. Some have been reduced by over £80,000 - so you’ll definitely be getting a great deal. Online estate agent Purplebricks has now completed its pre-Christmas IPO with shares initially valued at £240m. It’s the latest news that has once again sparked the heated debate over clicks vs bricks. Last week, on the latest series of The Apprentice, Lord Sugar threw his teams into the London property market. As expected, Twitter erupted: 'How to make an Apprentice candidate even more unlikeable: turn them into an estate agent'. Where are the best value 'Outstanding' London state primary schools? Parents will go to huge lengths to get their children into the top rated schools - and that includes packing up and moving house. Many even choose to temporarily rent in coveted catchment areas, desperate to beat the scramble for school places. The definition of a 'Housing Bubble' is a run-up in housing prices fuelled by demand, speculation and the belief that recent history is an infallible forecast of the future. Buying a new build home comes with a huge range of benefits, from clean, modern fittings and increased safety and security, to incentivised purchase schemes and cheaper energy bills. We asked our Regional Director, Mark Lawrinson, to share his thoughts on the current market. Here’s what he had to say…. Your house isn’t selling - and you’re not sure why. Picking the right estate agent to market your home can make the difference between getting a great price, and not selling your house at all. It can also make a difference to the general experience – which should be a very positive one! Feeling witty? You could be in with a chance to win a branded bottle of Portico champagne! The latest Portico competition is a caption competition, giving you the opportunity to bring a bit of humour to the recent Tube news and developments.